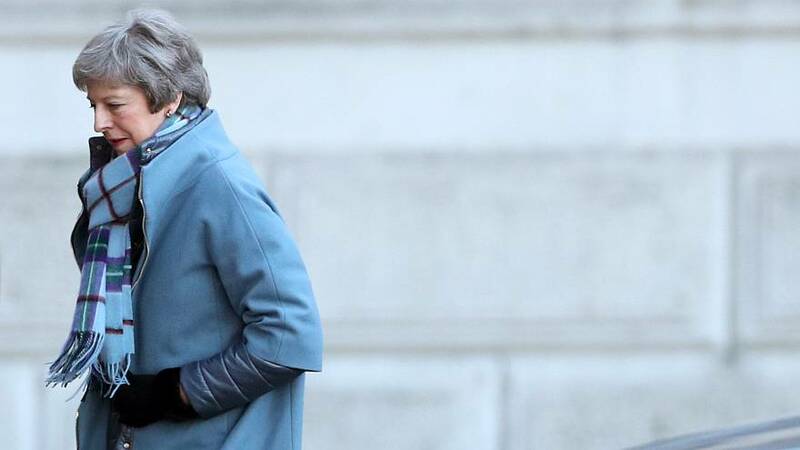 British Prime Minister Theresa May asked MPs on Monday to support an alternative to the Northern Irish backstop in the Brexit deal she struck with the European Union. Conservative Party Chairman Brandon Lewis confirmed that May had made the request at a private event in parliament, at which she sought to heal divisions and present a united front to Brussels over Brexit. British MPs will on Tuesday debate and vote on what's next for May's deal. Earlier this month, the deal was overwhelmingly rejected by the Commons. MPs have been proposing amendments seeking to shape the future direction of Brexit. Many pro-Brexit MPs oppose the so-called "backstop", which is an insurance policy aimed at preventing a hard border in Ireland. If no other solutions can be agreed, the backstop would require EU rules to apply in British-ruled Northern Ireland. "It allows the PM to give a very clear message about what the parliament wants and where the party is," Lewis said.